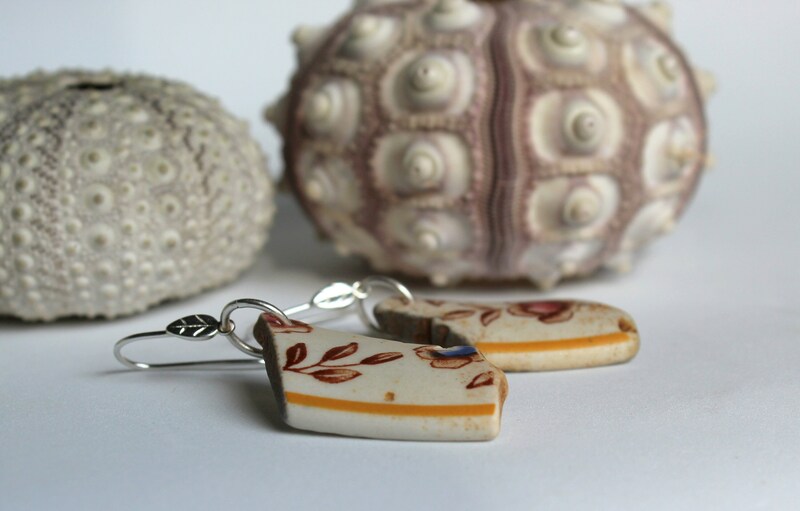 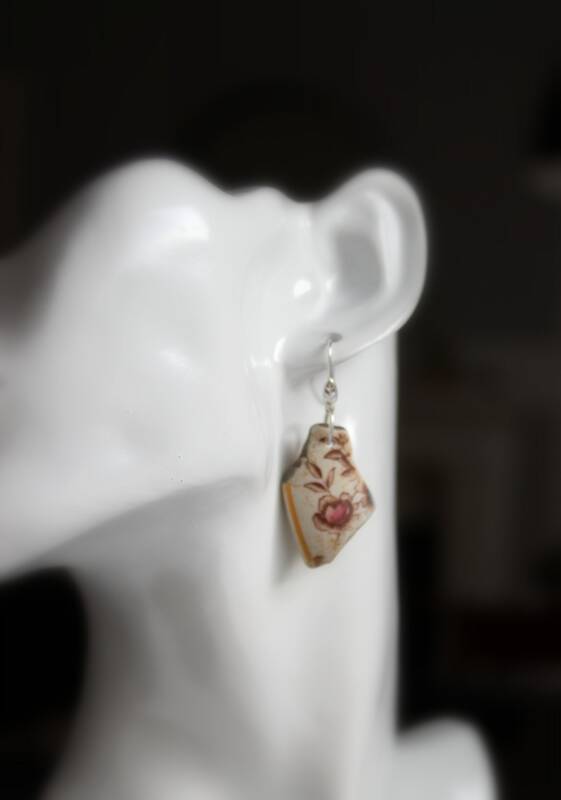 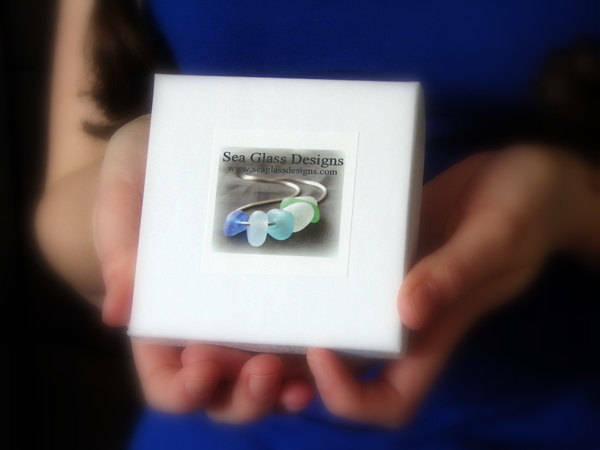 Lovely bits of Nova Scotia sea pottery dangle from sterling silver earwires in these sea glass earrings. 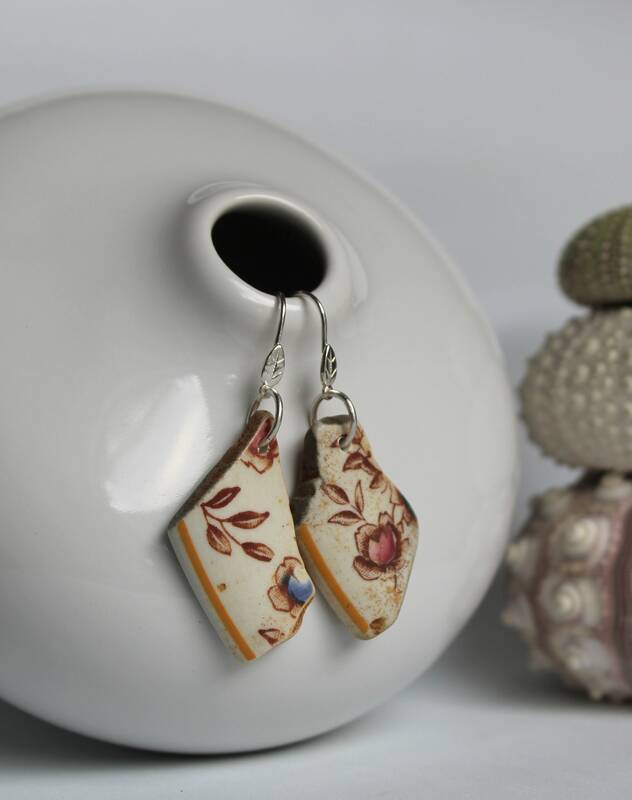 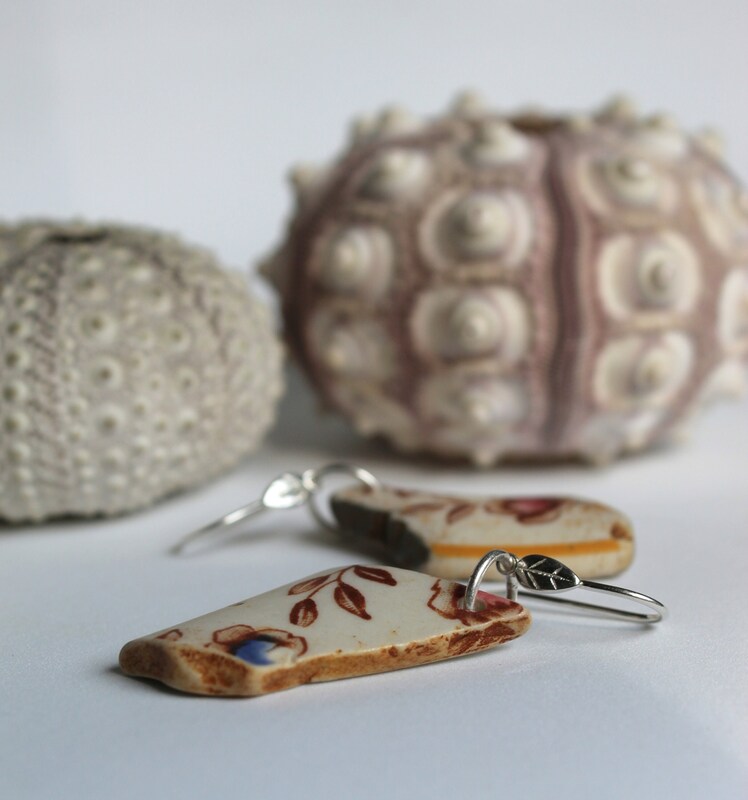 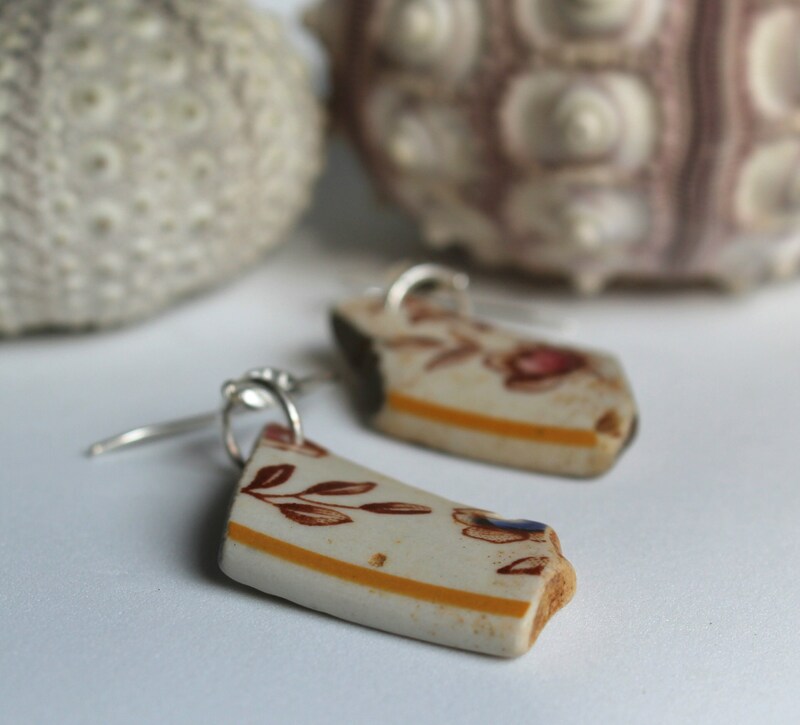 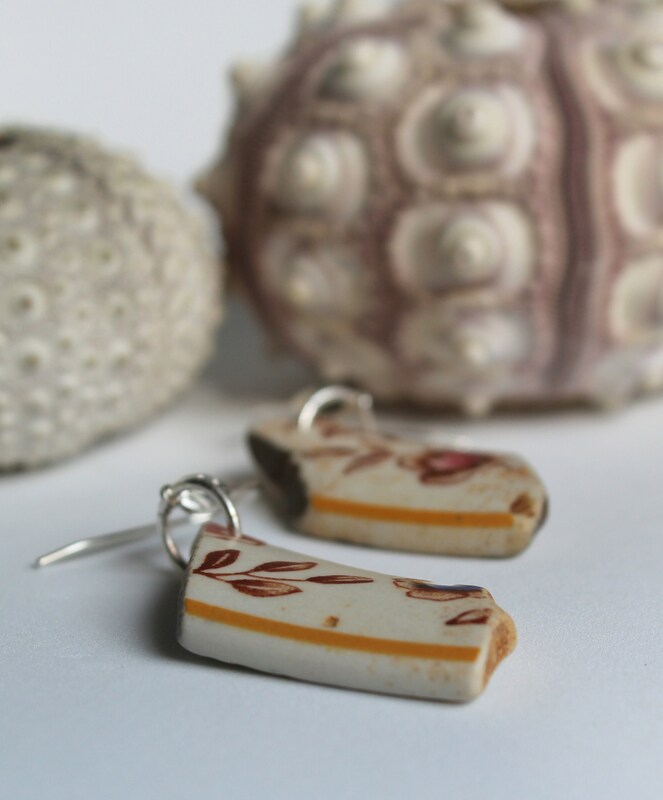 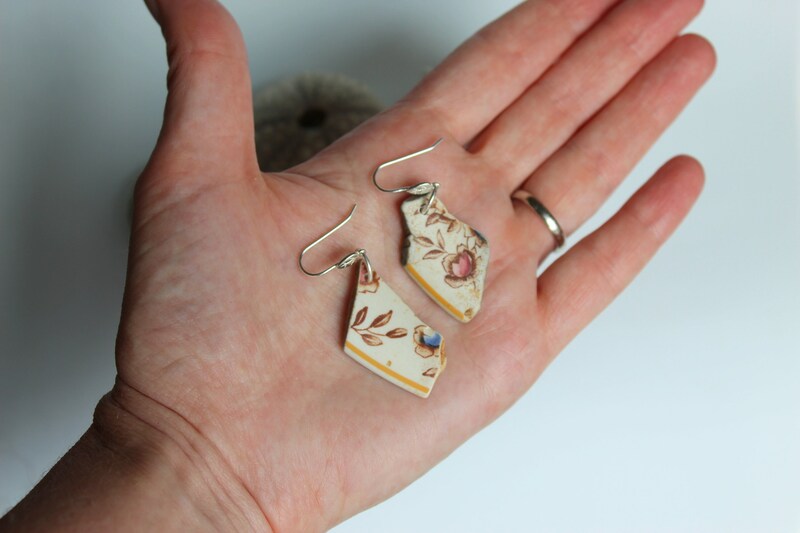 The floral pattern is original to the ceramic pieces, lovingly smoothed by the sea. 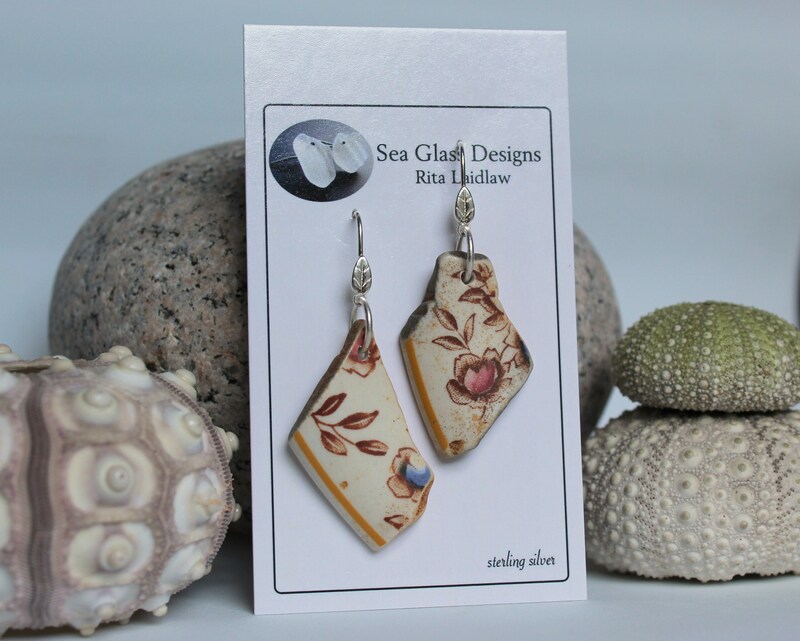 The earrings measure 2 inches in length and match beautifully with this necklace: www.seaglassdesigns.com/listing/614976035 .